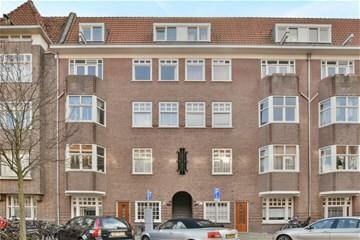 Biesboschstraat 73 III+IV Amsterdam Rivierenbuurt - Ramon Mossel Makelaardij o.g. B.V. Asking price € 630.000 k.k. 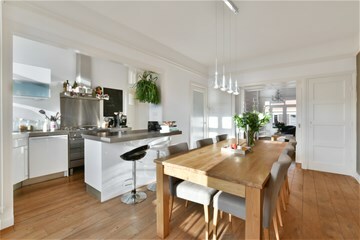 Very bright and tasteful apartment and a beautifully finished 105 sq. m. home with three (large) bedrooms, an original en-suite, two balconies including one that is south-facing, and ground rent is bought out until 2053. 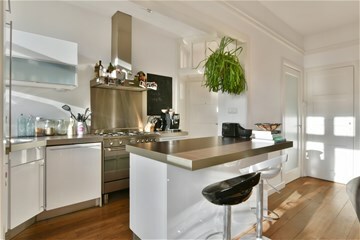 The apartment is located in a beautiful 1930s property around the corner from Maasstraat in the heart of the Scheldestraat area. Entrance on the third floor. Foyer with access to all rooms. The light en-suite living room and dining room stretches from the front to the rear of the apartment and is delightful thanks to the many windows and high, 2.87m ceilings. 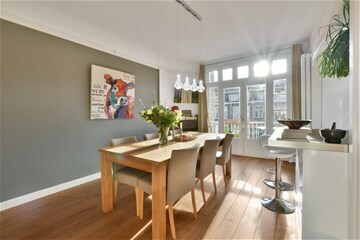 The living room features beautiful, original stained-glass sliding doors and four handy built-in cupboards. The open kitchen is located at the rear and is equipped with a dishwasher, refrigerator, freezer, five-burner SMEG gas hob with extractor hood and a kitchen island with room for two bar stools. The balcony at the rear covers the full width of the house, faces the sunny south and is fitted with two built-in wardrobes. The balcony is accessible from the dining room and the bedroom through French doors. At the front there is also a Juliet balcony, where you can enjoy the sun in the evenings. The first bedroom (4.05 x 2.93) is located at the rear and has a built-in wardrobe and the meter cupboard. The second bedroom (3.55 x 4.36) is located to the front. The tastefully-finished bathroom has a bath with shower, radiator, sink and toilet. From the living room, a spiral staircase provides access to the third bedroom/workspace (3.91x3.71) with a built-in wardrobe and a new dormer window with double glazing. There is also a laundry room with the central heating boiler on the 4th floor. This is the former storage room that can also be accessed via the joint staircase. The home features well-finished walls + ceilings and has a gorgeous oakwood floor. Biesboschstraat in the Rivierenbuurt is a popular, broad street with lush greenery. 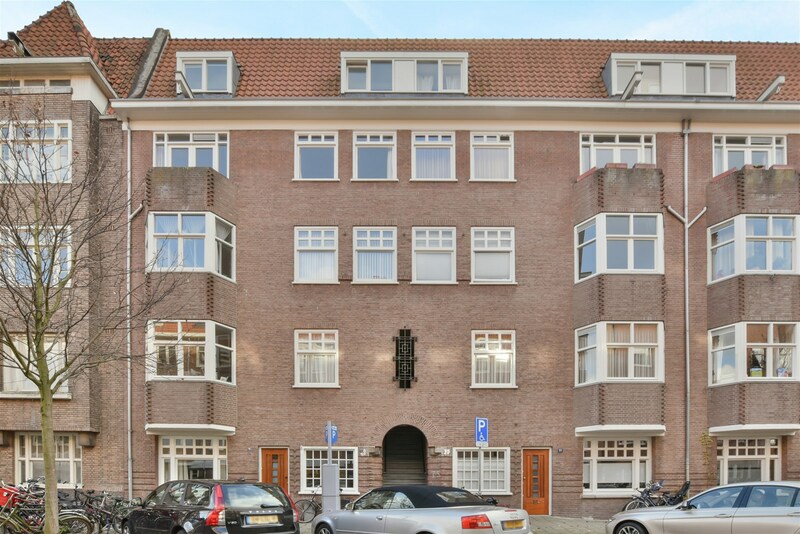 The apartment is ideally situated just off Maasstraat, close to shops, bars and restaurants, various speciality retailers, schools, daycare, medical facilities and sports facilities. Public transport (bus, train and tram: The RAI, Zuid and Amstel train stations are also close by (including a stop on the new North-South line). 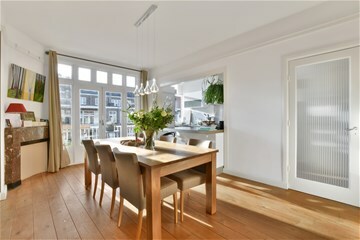 The building is close to the city centre, the RAI Convention Centre, the Zuidas business district and Beatrixpark. The property is also easily accessible by car, being conveniently located near the main roads that connect to the ring road (A2 and A10). - Beautiful sunny apartment, traditional building style with brick façades. Tastefully designed 1930s details such as stained-glass windows and panel doors. - Wooden frames, with single and double glazing. 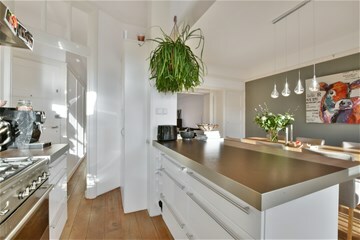 - Sufficient storage space by means of built-in wardrobes. 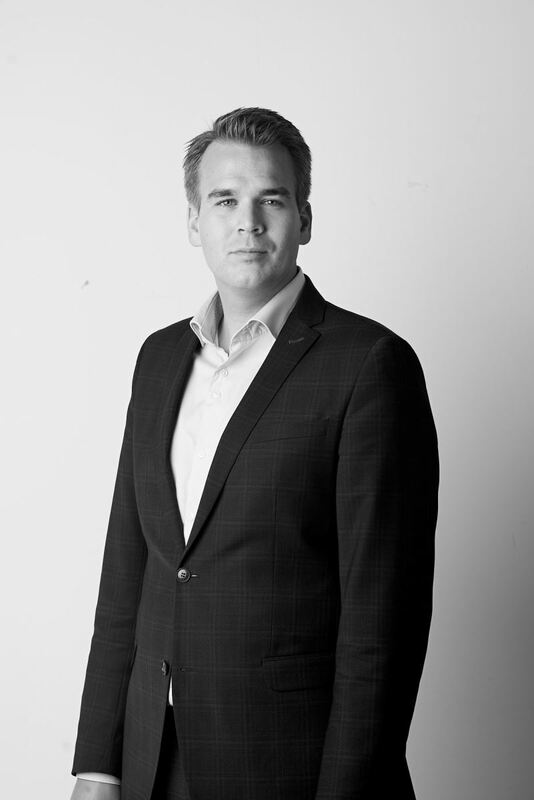 - The ground rent has been bought out completely until 15 January 2053; The General Provisions for the continuous ground lease 1994 of the municipality of Amsterdam apply.